Restaurants in a small eastern Anatolian town are offering free meals to those in need, a tradition that has carried on for decades. KARAKOCAN, Turkey – Under the glaring sun of a Saturday afternoon in August, a restaurant in a small eastern Turkish town welcomes its “most valuable customers”. It is only one of the many establishments across the town where those in need are invited to eat free of charge. This well-preserved tradition has been carried down from generation to generation for decades. Karakocan, a 70-minute drive north of the centre of Elazıg province, has attracted attention in recent years for its tradition of offering free food to those in need. For locals, the custom is a way of fulfilling their responsibility to assist the less fortunate. 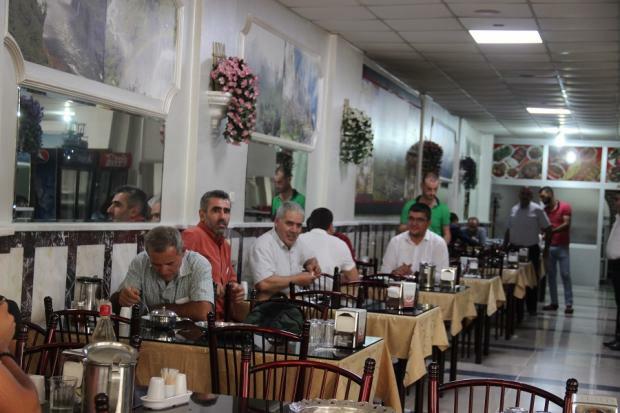 Mehmet Ozturk, 55, the owner and manager of one of Karakocan’s busiest restaurants, Merkez, for nearly 35 years, says he always keeps at least three tables reserved for those in need, even during rush hour when his eatery is cramped. According to Ozturk, “the poor never fail to come”. On any given day, Ozturk says at least 15 people come to his restaurant to receive a free meal. According to residents, around 100 people eat for free each day across the whole town, which is home to around 28,000 people, according to official statistics. Galip is one of the familiar faces at the restaurant who has eaten there every day for the last 10 years. “He was here for breakfast and he will probably come for dinner as well,” a young waiter says. Suffering from mental illness, Galip doesn’t share much. 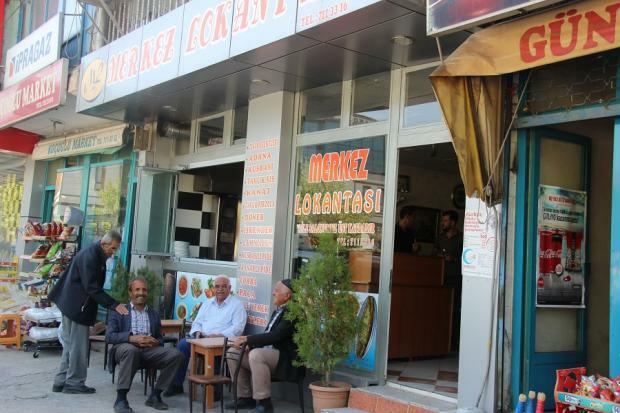 “The Merkez is my favourite place in town, because the food is great,” he says. The restaurants offer Galip and others their pick from a variety of choices listed on their menus including kebabs, chicken, soup, rice and salads. According to residents, the tradition first started in the 1940s at the Merkez restaurant, one of the first eateries in town, when the former owners started offering free meals to those in need every day. The practice was quickly picked up by other restaurants in the area. “I remember Hacı Huseyin, the former owner of the restaurant, and witnessed his enthusiasm when I was waiting tables at a very young age. He used to look for needy people to feed on the streets, bring them in groups to the restaurant sometimes three, sometimes five times a day,” Ozturk says. In 1982, Ozturk’s older brothers returned from Germany where they worked and made a decent living. 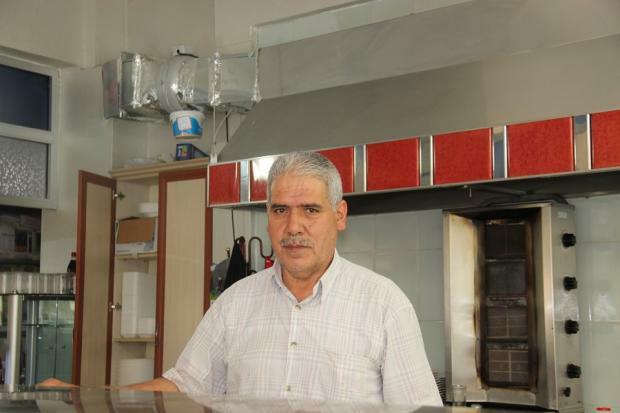 They bought the Merkez restaurant from the former owner to start a family business. Ozturk eventually became the sole owner of the eatery. There are about five large restaurants in the quaint but surprisingly vibrant town centre, and each one honours the philanthropic tradition. Individuals receiving free food tend to be regulars, familiar faces who visit the restaurant to have at least two meals a day. Ozturk says that a large margin of the regular diners suffer from disabilities, such as mental illness. But for the restaurant owner, hosting new faces, including those visiting the town from neighbouring Bingol and Tunceli, is a gratifying part of the experience. Karakocan’s restaurants have even invented a special name for patrons who eat free of charge to avoid using the word “poor”. Any customer who says that they are among the altı boluk (six divisions), a sub-division of an army regiment, can leave the restaurant without any further explanation when the cheque comes. According to residents, the name alti boluk has an Ottoman link, referring to the Kapıkulu Suvarileri (also known as the six divisions), who were the Sultan’s household cavalry and were not allowed to have families, run businesses or build any emotional bonds to anyone other than the Sultan himself. The generosity goes beyond feeding the six divisions, as restaurants also offer feasts for free for the whole town on Islamic holidays including Eid al-Fitr, Eid al-Adha and throughout the holy month of Ramadan. Hasan Gulbasan, whose family has deep roots to the town dating back many generations, started working as a dishwasher when he was 14. He has since managed five different restaurants in Karakocan and now serves as the owner of the restaurant Saray Lokantasi. Locals say that the Muslim-majority town cultivates the belief that helping those in need will bring barakah, an Islamic principle of reciprocity that suggests the more blessings you give, the more you will receive. The 65-year-old veteran says the practice is only one example of the town’s long history of giving. He talks proudly about how Karakocan launched large-scale campaigns to send aid to Syria’s Aleppo last year, as well as to the victims of the Van earthquake in southeast Turkey in 2011 that killed over 500 and left tens of thousands homeless. “No matter who you ask in Elazig, they will tell you about Karakocan’s generosity,” Gulbasan says. A significantly more affluent town than the rest of Elazig, Karakocan has become home to wealthy business owners. Most of them fund their work with remittances from expat relatives living in Germany, the Netherlands, France and Austria. “People here all have at least one relative in Europe who sends remittances regularly. You can easily recognise the prosperity in the town after visiting the central districts of Elazıg for a comparison,” says Celal Kaya, a district official and the head of the Union of Providing Services to Villages. 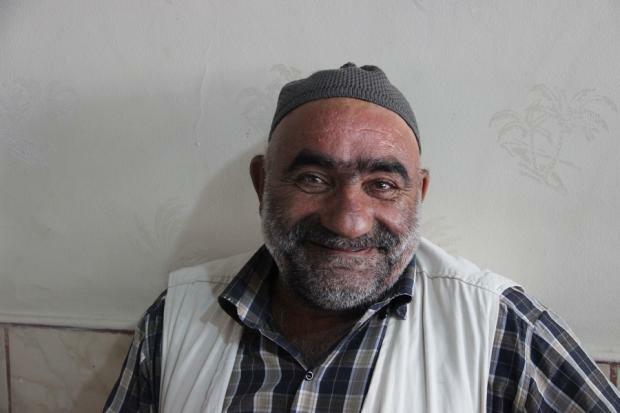 Kaya, whose job requires visits to the 89 residential areas of Karakocan to ensure that essential services are being delivered, says the rich feel the responsibility to support the less fortunate, and that the town has established a welfare social system on its own. “We recently asked a restaurant to provide food for a poor family and place it on the governorate’s account. They declined and assumed all the expenses for the family,” Kaya said. Karakocan continues to maintain its famous hospitality and generosity thanks to the flow of foreign currency coming from migrant relatives. The locals even jokingly claim that they were the only ones who were not affected by the 2001 financial crisis in Turkey. However, worried locals say the town’s dynamics are undergoing a change. The second and the third generations of those who left Karakocan for a better future in Europe in the 70s and 80s do not visit the town like their parents. Instead, they are opting to spend summer holidays in the Turkish resort cities of Antalya and İzmir. “As these strong ties are slowly vanishing, the workers’ remittances will cease eventually,” Kaya says. Kaya explains that many of the relatives living in Europe have become partners in businesses in Karakocan but they also send a lot of money to help their families, as well as for investment purposes. The economic resources that secure the level of prosperity in Karakocan might be precarious, but the culture of extending a helping hand has deep roots in society to the extent that locals refuse to label helping others as charity, but as “one’s religious and human duty”.